We are back with our latest game giveaway. Do check out our previous game giveaways and follow us on twitter/FB for the upcoming ones. 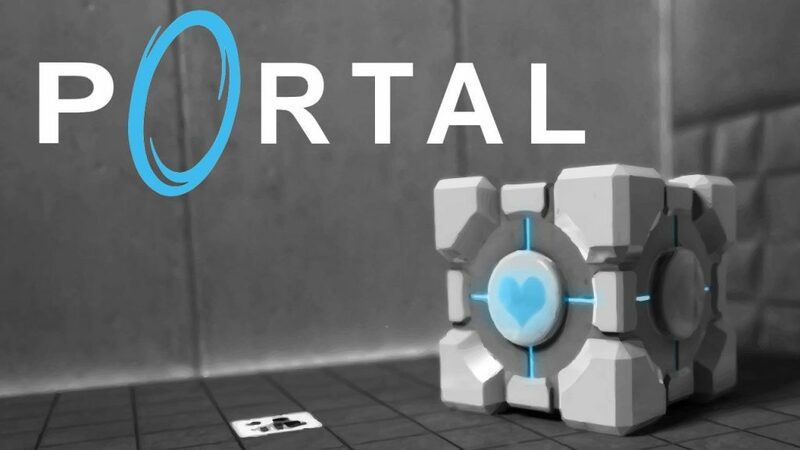 Portal is a puzzle-platform video game developed and published by Valve Corporation. Aperture Science Laboratories, the mysterious where all the action takes place. The game received a number of awards. Moreover a lot of players have appreciated the unique aspects of this thought provoking game. Tags: Puzzle, First-Person, Single player, Sci-fi Action. Skills to approach, manipulate, and surmise the possibilities in a given environment. Quite similar to how Half-Life® 2's Gravity Gun innovated new ways to leverage an object in any given situation. Firstly, note that the game starts off a little slow. What keeps you hooked on to this game is the puzzle action. The puzzle action soon really gets interesting. The story is pretty simple. But there is a ton of character development. In addition, few surprises that are eventful and a great ending makes this a great game. Finally, even after you finish the game, there are bonus levels and challenge modes to keep you coming back for more! The game features two characters: the player-controlled silent protagonist named Chell, and GLaDOS (Genetic Lifeform and Disk Operating System), a computer artificial intelligence that monitors and directs the player. In the English-language version, GLaDOS is voiced by Ellen McLain, though her voice has been altered to sound more artificial. Also, Portal's plot is revealed to the player via audio messages or "announcements" from GLaDOS and visual elements inside rooms found in later levels. The game begins with protagonist Chell waking up from a stasis bed and hearing instructions and warnings from GLaDOS, an artificial intelligence. The announcement has information about the upcoming test experience. Chell then enters into distinct test chambers that introduce players to the game's mechanics, sequentially. GLaDOS's announcements serve as instructions to Chell and help the player progress through the game. Chell is promised cake and grief counseling as her reward if she manages to complete all the test chambers. Awarded Game of the Year (PC), Best Narrative (PC), and Best Innovation (PC and console) honors by 1UP.com in its 2007 editorial awards. 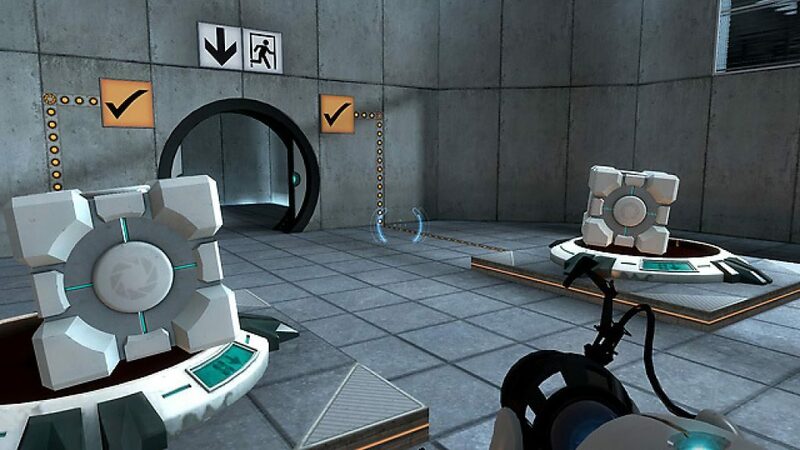 In GameSpy's 2007 Game of the Year awards, Portal was recognized as Best Puzzle Game, Best Character, and Best Sidekick. This Game is truly amazing! The Story And Puzzles And Easter Eggs are AMAZING! It really makes you think on certain puzzles, or just makes you pull your hair out! Highly recommended! Awesome concept, great graphics, compelling lore, smooth gameplay.